There are plenty of good reasons to use a credit card, including convenience, improving a credit rating, increased buyer protection, rewards – or just take advantage of a sale your favourite store. But beware – while a credit card can be a valuable tool if you know how to use it properly. Even the vigilant among us need to stay on their toes. It’s a case of do your homework or deepen your debt, so we’ve made it easy for you by compiling the best tips for staying ahead. Ready for a quick boost of credit card education? We’ve also included a handy list that you can use right now to take action to beat the banks and start winning the credit card game. Credit card fees are a fact of life – but it is possible to have them waived. While it’s not a given, banks are known to waive fees if a good customer is thinking of moving to another provider. This is more likely if you’ve been with them for a while and you have been a profitable customer (which ironically means that you haven’t always paid everything on time and left them with no interest to collect from you). There’s no harm in asking. Say something like “I’ve been shopping around to find the most competitive deal on credit cards. Before I cancel this card, could you let me know if you offer any incentives for me to keep it?” This will carry more weight if you are actually prepared to cancel the card and go for a no annual fee card elsewhere. When the bill is due, make an effort to pay off as much of the balance as possible. The perfect credit card scenario involves paying the full balance off every month. It sounds so simple but it’s one of the most important things to avoid unnecessary interest payments. 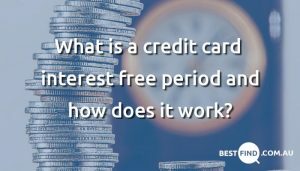 If you don’t pay off your entire credit card balance by the end of the interest free period, you will lose access to interest free days and all your purchases will accrue interest immediately. The interest free days will only resume once you’ve paid off the balance transfer in full – which is a great reason to make this a priority. When a card says, “up to 55 days interest free,” that doesn’t mean you get 55 days interest free from the moment you buy something. The “55 days” actually refers to the period of time from the start of your statement (billing) cycle to your statement’s due date. As soon as the due date hits, unpaid balances will incur interest. 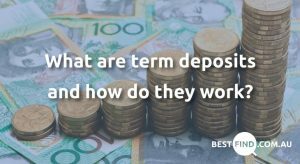 So, if you made a purchase on day 1 of your statement period, you’d have 55 days to pay it off before interest would be applied to the balance. If you made a purchase on the second day, you’d get 54 days to pay it off interest free, and if you purchased something on day 20, you’d have 35 days to pay it off interest free. Cash advances are oh-so tempting, especially when you legitimately need them! While they’re sometimes necessary, avoid them if you can so you don’t pay too much interest. As they are effectively “withdrawals”, not “purchases”, interest starts accruing as soon as you take the money out. Be sure to repay them as soon as possible! And remember it’s not just ATM withdrawals that count – other “cash advance” examples include transferring money to another account, using your credit card to gamble, paying your bills over the counter at another bank or post office, and buying items that work like cash, such as gift cards or traveller’s cheques (people are still using those, right?). Moreover, some cards charge a higher interest rates on cash advances than on regular purchases! It can be hard – but if you tend to be irresponsible with money, just do it. Your future self will thank you for it. Do you really need $20,000, $10,000 or even $5,000? Reduce the temptation! Reducing your credit limit to something you know you can afford on a monthly basis. Give your bank a quick call or duck into a branch and they should get it sorted for you straightaway. If you want to keep funds in case of an emergency – set a self-imposed limit and then put your card away somewhere out of sight until next month, or until you’ve paid your bill in full. If you’ve been eyeing off a special purchase, then the offer of more credit can be rather tempting! Stay strong! If you don’t need it, it’s best to avoid taking the bank up on their offer. Banks are legally not allowed to offer you credit increases unless you’ve given them specific permission. You may have unwittingly done this and then forgotten all about it! Contact your bank and ask to opt out of future credit increase offers. 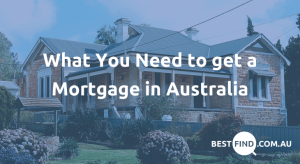 If you really do need a once off, special purchase, pay the debt down quickly and then reduce the limit to a manageable amount. It can be tempting to get a store credit card if you’re a frequent shopper there. Don’t be fooled by flashy advertising and the promise of fancy rewards – the fees on reward, frequent flyer and platinum cards may actually outweigh the benefits, and the interest rate is usually higher than other cards. Check the terms and conditions and calculate the value of the rewards you expect to receive. Compare that with the card fees and you’ll know where you stand. Watch out – some reward cards have annual fees so high that you need to spend tens of thousands of dollars just to break even! There are plenty of good reasons to close a credit card – maybe you have too many cards (and too many annual fees), the bank raised the rate or added more fees, the interest free period is reduced, or maybe because you just don’t want a credit card anymore! Contact your bank and don’t be surprised if they try and convince you to stay! Ensure they finalise closing the account and take note of the date, time and who you spoke with. Follow up with a letter or pop into a branch to confirm it has been closed. You don’t want to be paying an annual fee for a card you don’t use! If your credit card debt is getting out of control on one or more cards, check if you can do balance transfer onto one of your existing cards. Most providers offer this service (even if they don’t advertise it), all it takes is a phone call. Consolidating multiple credit card balances this way can help you to manage your money and reduce your credit card debt faster. Of course none of the above will help you win the credit card game if you don’t actually follow through, so we’ve included a little checklist for you. Why not take a moment to call your bank and run through the items on this list? If you’re feeling game, do a spot of research first to find the most competitive deal out there and ask your bank if they’re willing to offer incentives, like reducing or waiving your annual fee to keep you as a customer. The gist of these tips and tricks is to have a close look at your credit card habits. When used correctly – credit cards can be great. When used incorrectly, they can cost you thousands in interest each year and not to mention financial stress! If you feel like you’re not getting the most from your credit card then consider the above points and ensure you’re on the right track.